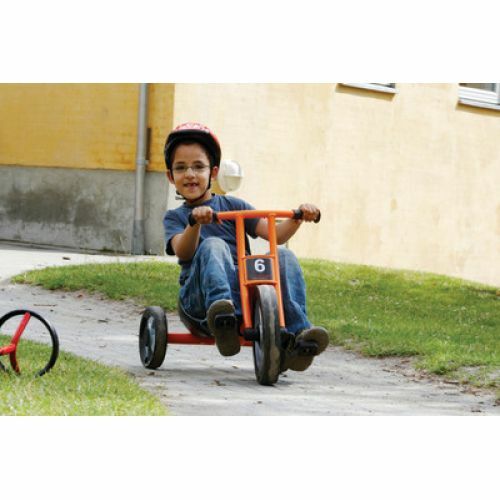 Since 1932, Winther trikes have been known for their unsurpassed quality and durability. 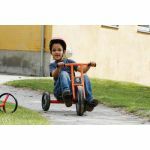 Heavy duty tubes and a strong rust-resistant powder coating ensure these trikes can withstand the rigorous day-to-day use in any childcare facility or school. And first-class components and proper craftsmanship in all the joints provide for the trademark smooth Winther ride. 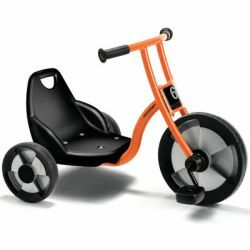 Trikes ship in 2 parts for easy assembly. Complies with all current safety standards. Not available in Canada. 5-year warranty on frame and fork. Additional shipping charges apply. Seat height 7 1⁄2". Ages 4-7.